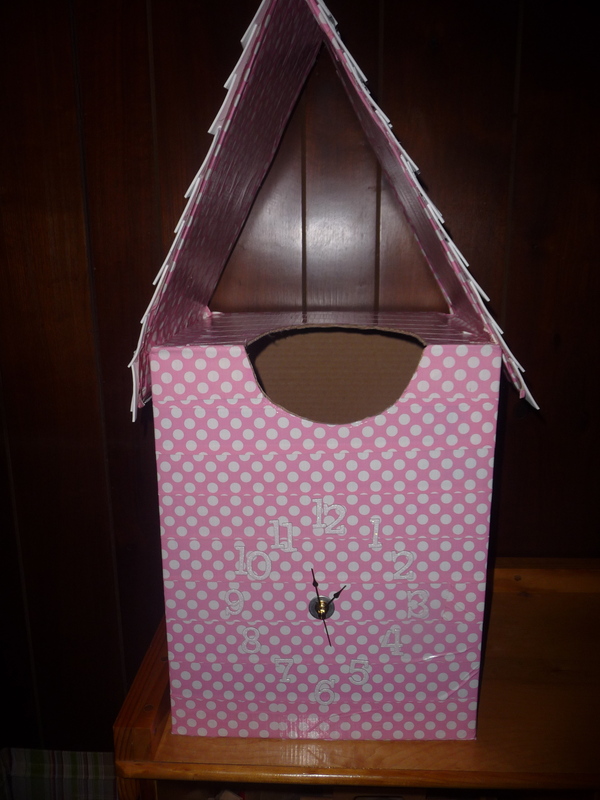 Thanks to an episode of Mickey Mouse Clubhouse (Mickey’s Adventures in Wonderland … where Mickey & Donald chase after a runaway cuckoo bird), Honor has been quite interested in cuckoo clocks. 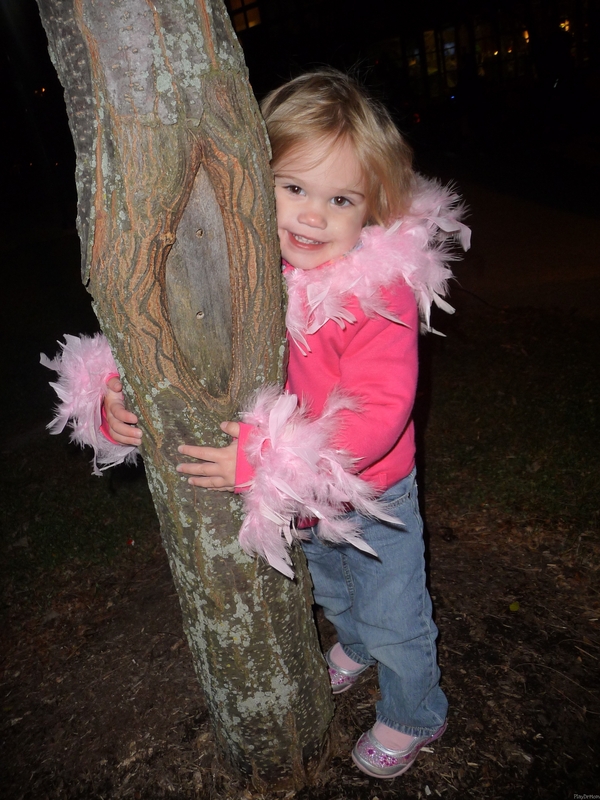 Also, one of her favorite songs is “Tick tock tick tock. I’m a little cuckoo clock. Tick tock tick tock. 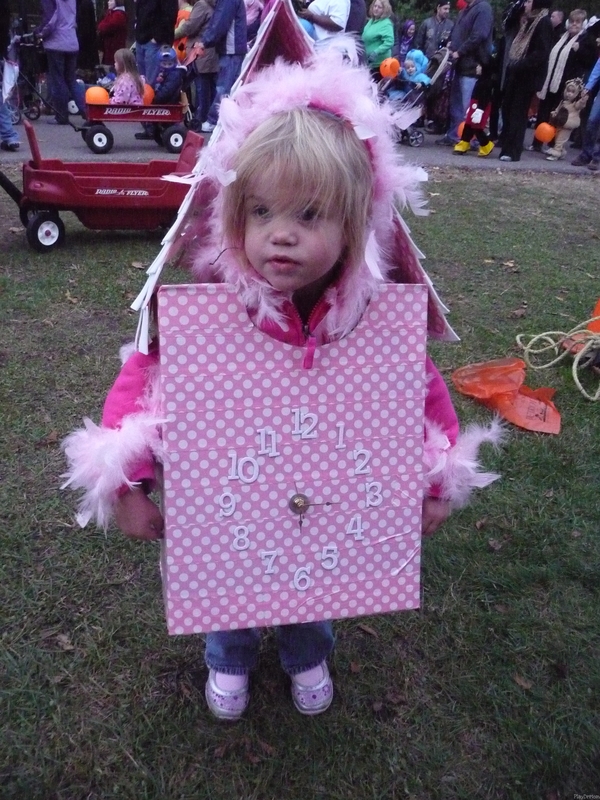 Now I’m striking one o’clock.” So, when asked what she wanted to be for Halloween … she said “a cuckoo clock”. I first searched for the easy way out … but couldn’t find any pre-made cuckoo clock costumes for kids (oddly enough I did find a couple for adults!). 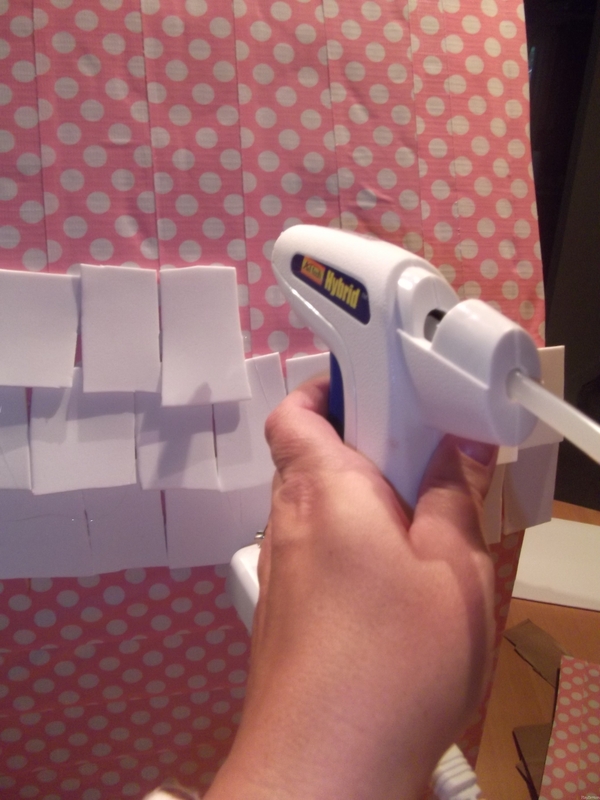 However, I did come across a tutorial that a father made about making a cuckoo clock costume for his young son (also with a cuckoo clock obsession) … and KNEW this was it! So, here’s my version. 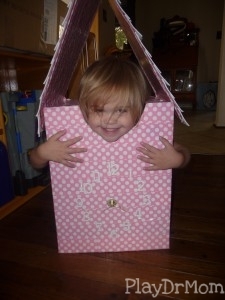 The cuckoo clock costume I made for my daughter, Honor. 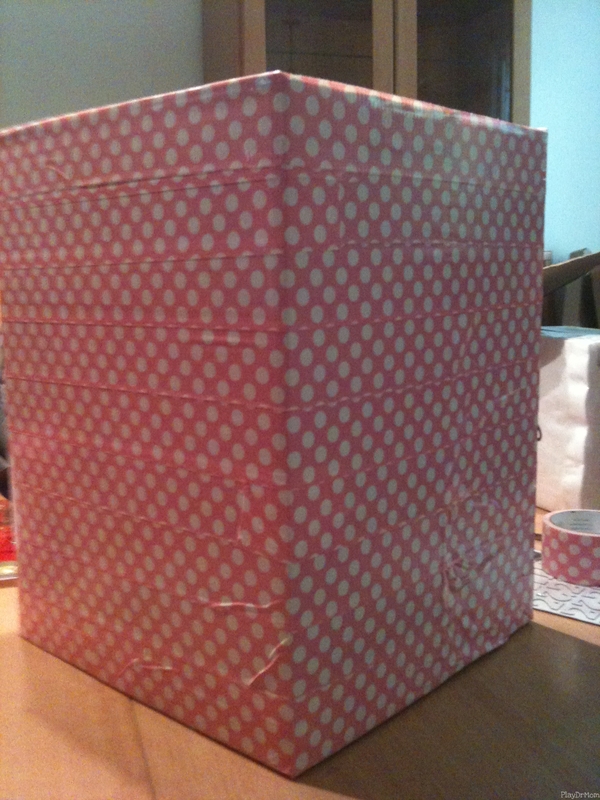 First, I completely covered the box in the duct tape. 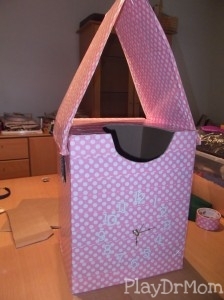 This not only made it incredibly cute and girly, but also reinforced the box (and made it stain & water resistant!!!). I then used a utility knife to cut what what I determined to be the bottom (ended up using the box sideways). Next, I cut the hole for the head. I made the cut on both the top and the front of the box. 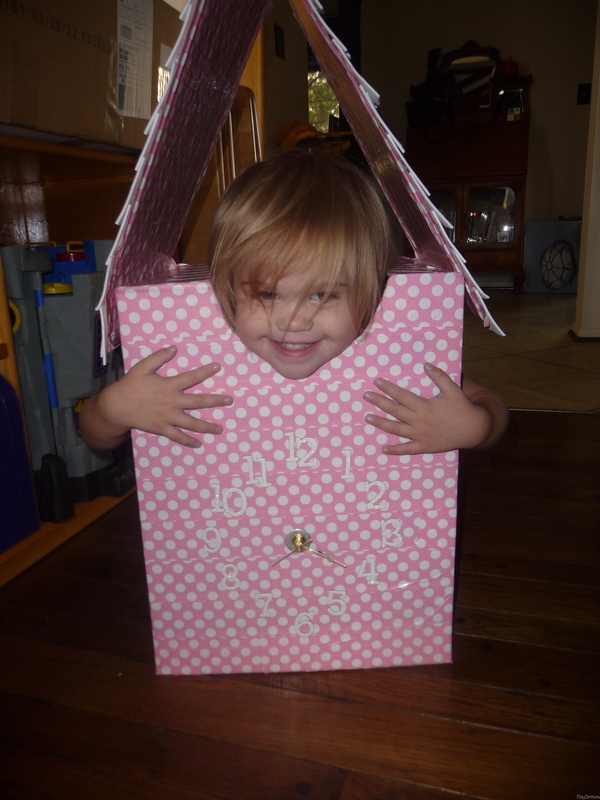 (I’ve gone back and forth on whether or not I like this decision because it makes the clock sit somewhat back on her … but then I also forces to look like she is popping out of it more … which is pretty stinkin’ cute.) After I put the box on my daughter to test out the best place for the arm holes, I cut those out too. 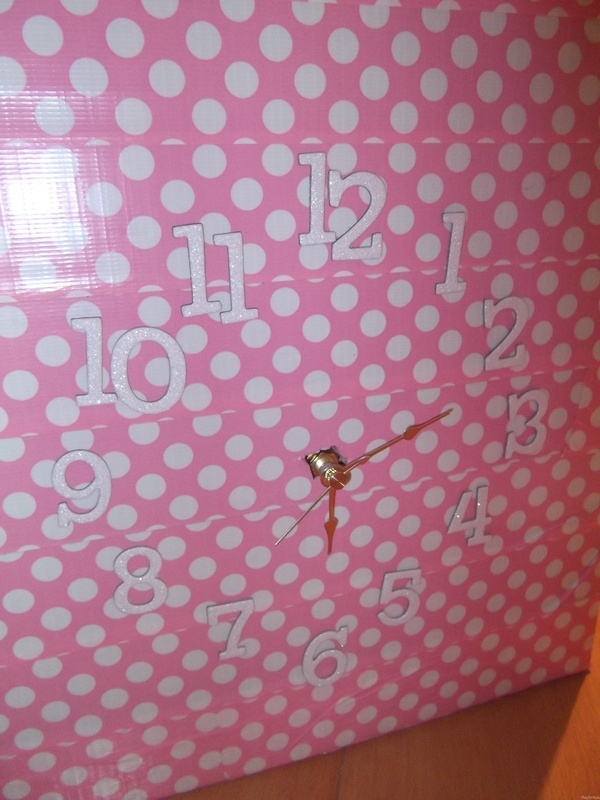 To create the face of the clock, I used cardboard number stickers and installed an actual battery operated clock. 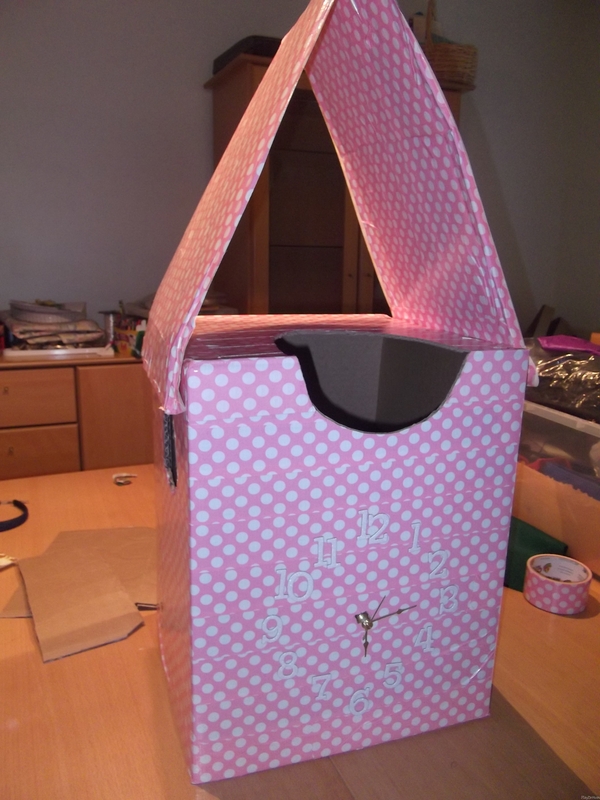 For the roof, I took the two large pieces of cardboard from the bottom of a case of pop and cut them to fit over her head (allowing for lots of clearance, because I didn’t want her to feel trapped or too confined … because then she wouldn’t wear to and what would be the point!!!). 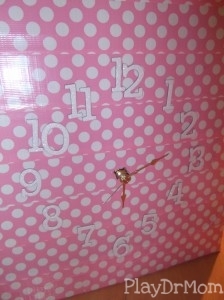 I then covered the pieces of the roof with duct tape and adhered them (with duct tape) the the box/clock. 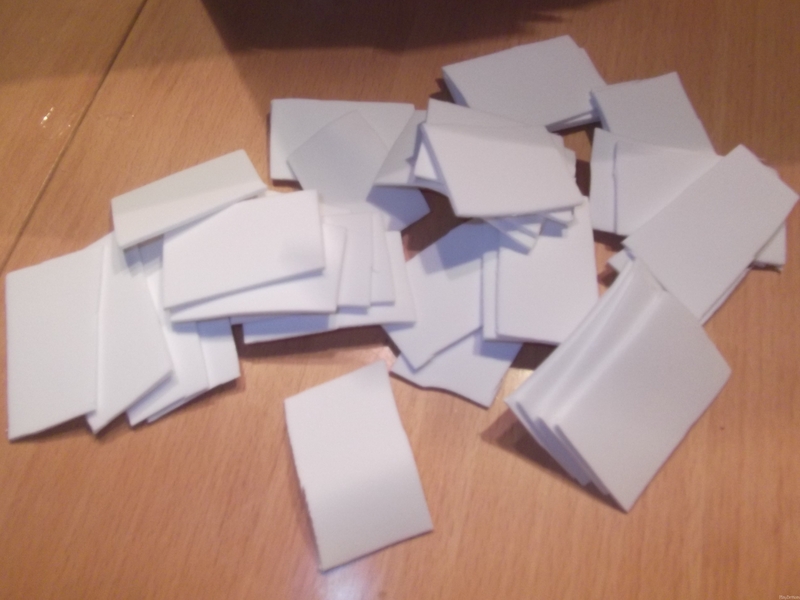 I then cut a bunch of foam rectangles out of a large sheet of white craft foam to make the shingles for the roof. This is a time when my lack of ability to cut a straight line came in handy, because it gave the shingles uneven shapes and sizes … actually looking more like wood shingles. I glued each shingle individually on the roof with a hot glue gun, starting at the bottom and working to the top. For the “bird” part of the costume, I bought a pink hooded sweatshirt and sewed a pink feather boa around the rim of the hood, neck, and wrists. 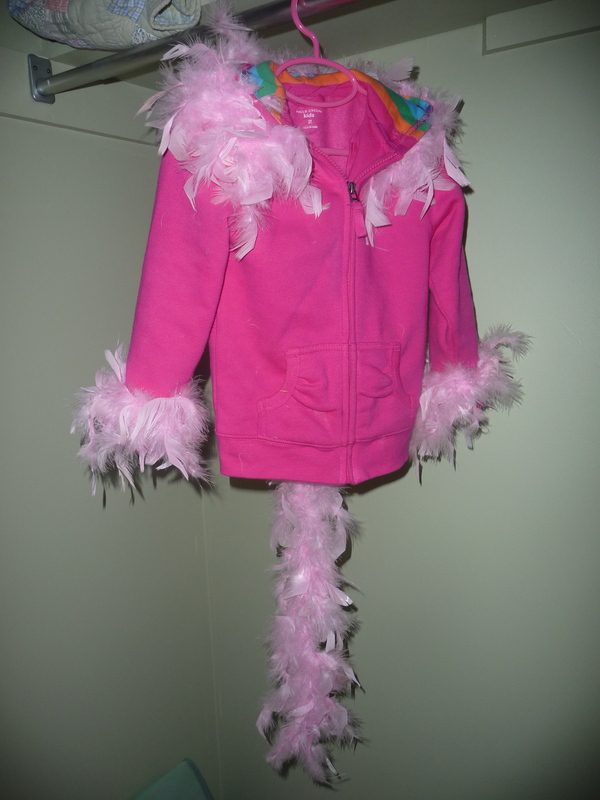 I also sewed the boa onto the top of the hood and allowed the rest of it to loosely fall down past the bottom of the jacket … to look like a tail. Hi. Adorable Idea! I reposted and linked on my blog. My son’s first words were “tick tock,” so we’ll have to try this! What a creative, fantastic idea. I’m so glad that you shared this with me and I think that it is a great addition to my list!